MBARARA – Mike Mutebi will start his four match ban when KCCA FC take on Mbarara City at Kakyeka on Wednesday afternoon. The Gaffer was banned following comments he made about how League titles have been won in the last 20 years. In their first game of the second round, assistant coach Morley Byekwaso will be expected to patrol the touchline as the Kasasiros attempt to strengthen their grip onto top spot in the StarTimes Uganda Premier League standings. KCCA FC currently hold a healthy 5 point caution atop the log having managed 36 points from 15 games as compared to second placed Vipers’ 31. The game away to Mbarara however provides a huge test as the Ankole Lions have only failed to win one of their first 8 home games this season (W7 D1). Despite the magnitude of the task that lies ahead, Byekwaso believes his side will negotiate the hurdle and stay on course to winning the League. “We are ready to take on Mbarara City, said Byekwaso ahead of the game. “Yes the manager (Mike Mutebi) is not part of us but we are blessed with a good technical team that can execute on any given day. “We are now in only one competition after exiting the Confederations and Uganda Cups, so we have to try our level best to try and win it. KCCA are expected to be without injured midfield duo of Saddam Juma and Gift Ali. The good news is that Bernard Muwanga who has been on road to recovery has been passed fit and is expected to feature. For Mbarara, they start life minus former Captain Asuman Alishe who opted not to renew his contract and seek greener pastures. Alishe’s absence leaves the team on Paul Mucurezi’s shoulders and the former KCCA FC attacker will be out to impress his ex-employers as he takes on the burden of leading the Ankole Lions. Mbarara have been arguably the revelation of the season, coming into the game, 8 points behind KCCA and still with an outside chance of winning the League. Coming off an impressive 1-1 draw away to second placed Vipers, Livingston Mbabazi’s side will be confident they can get a positive result on Wednesday. This will be the fourth meeting between the two sides ever since Mbarara made their latest return to the top tier in 2017. In the previous three meetings, neither side has managed victory with all the fixtures ending in stalemates. In the first meeting this season, the two played out a 0-0 draw, the same result that was seen in the reverse fixture last season. Mbarara go into the game having lost only one of their last 8 fixtures in all competitions (W4 D3). The loss was in a penalty shootout defeat at Bul FC in the Uganda Cup. At home, the Ankole Lions have collected 22 points out of a possible 24 this season. The only game they failed to win was the 1-1 draw with URA FC on 8-12-2018. 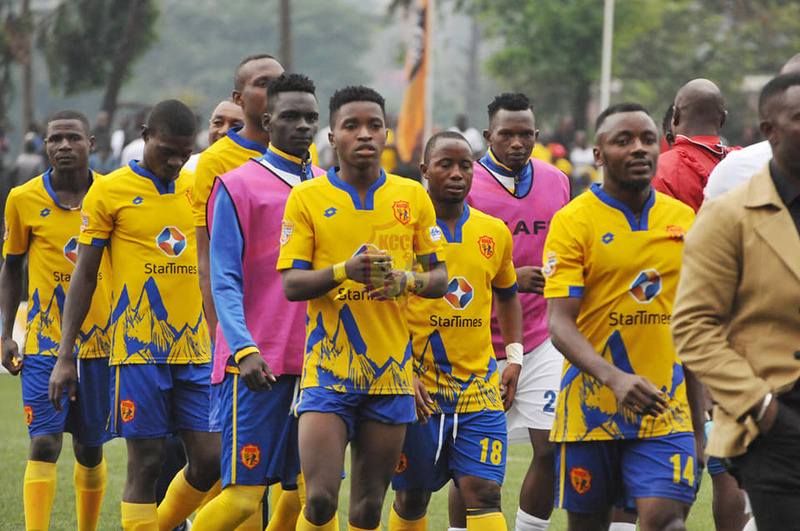 For KCCA, they have lost only three of their last 21 games in all competitions (W15 D3). Away from home, the Kasasiro’s have lost three of their last 6 in all competitions, including both of the past two.